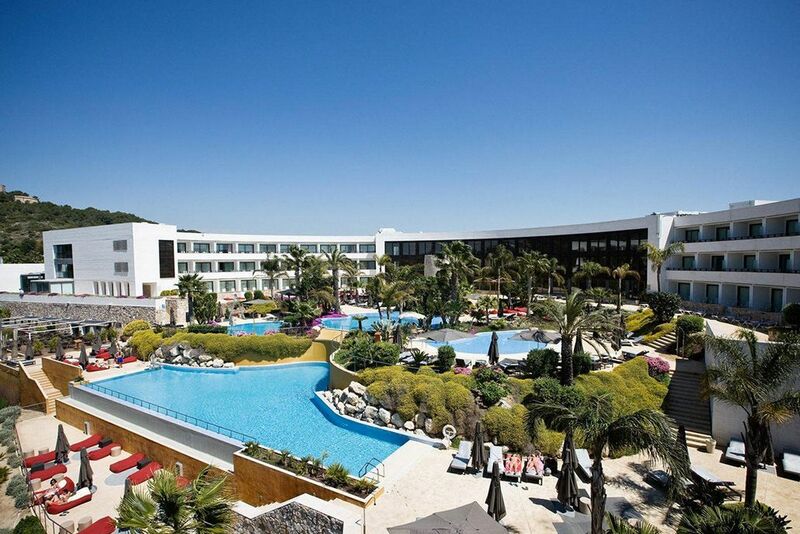 Dolce Sitges offers 260 beautifully designed guest rooms and suites with terraces facing the sea or the pools. The property is located on a hilltop facing the Mediterranean Sea and overlooking the golf course, and the city of Sitges with magnificent views. 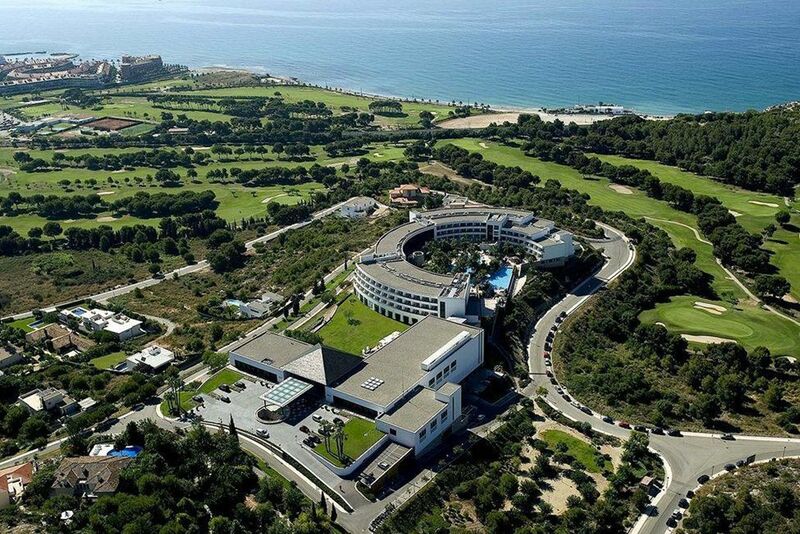 The Conference Centre consists of 34 meeting and breakout rooms, 2 amphitheatres and a large ballroom. The resort features the latest in technology including high-speed Internet access. 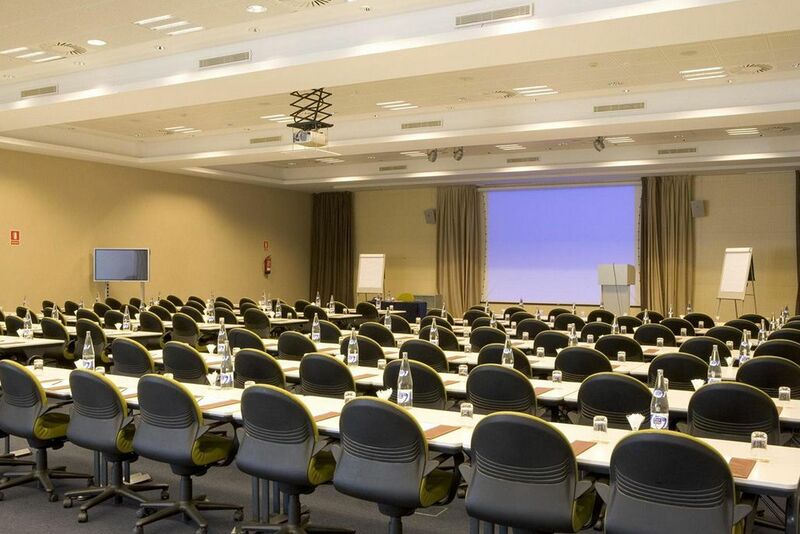 Its highly professional Conference Planners team will ensure the success of every event. 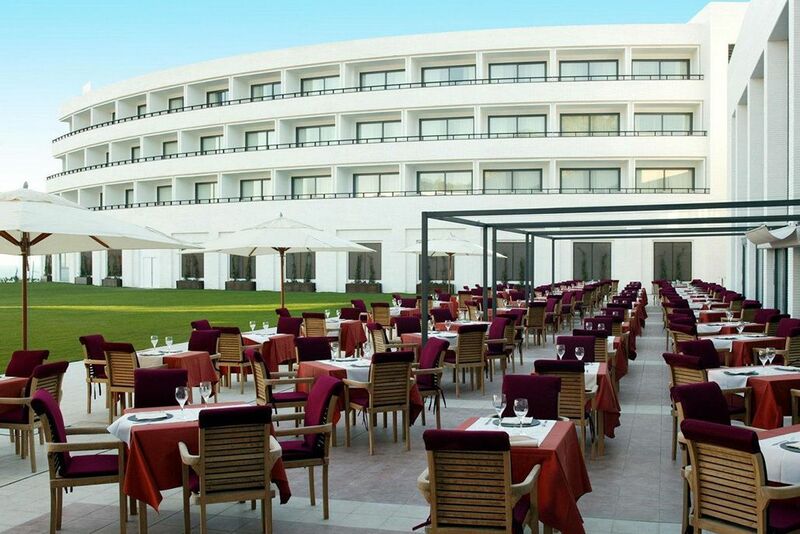 The main dining room, the a-la-carte restaurant and the bars offer inside and outside dining options. 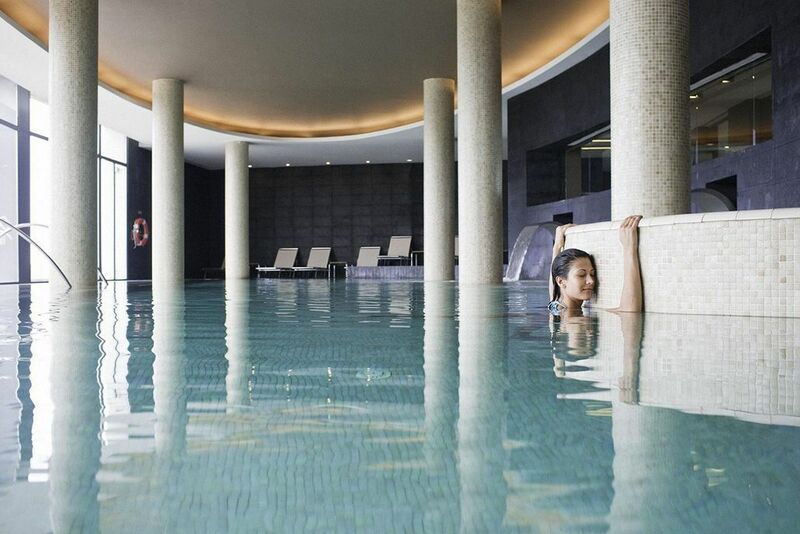 Onsite recreational facilities: four outdoor swimming pools, a Fitness Centre and a Spa including a large indoor swimming pool, saunas and treatments rooms for massages and beauty treatments. 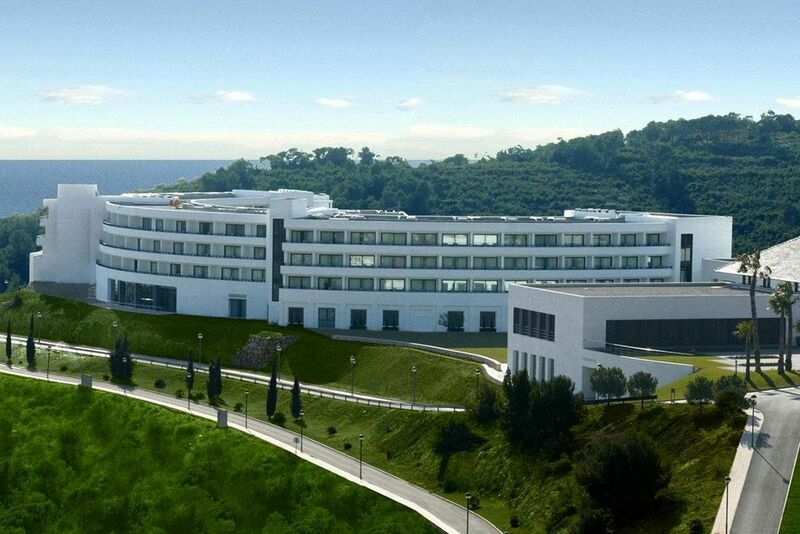 The 2 amphitheatres, 9 meeting rooms and 25 break out rooms provide an efficient and effective learning environment. There is also a ballroom with a capacity of 443 people in theatre style. 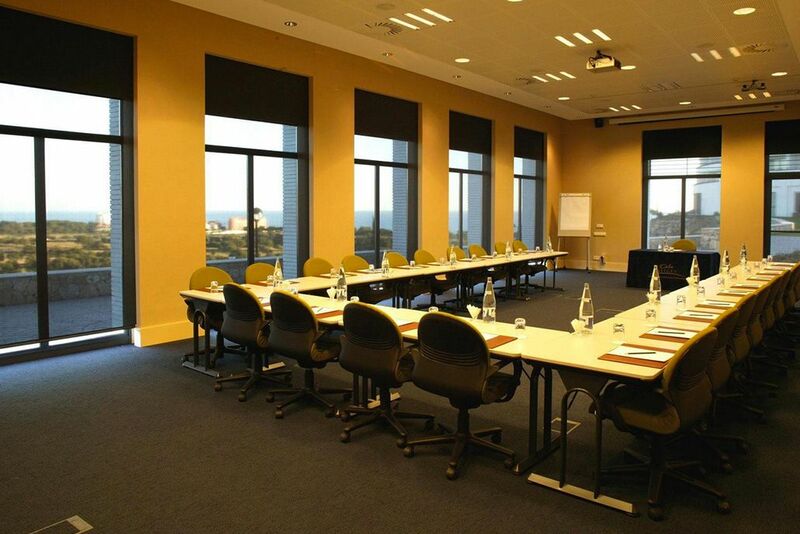 Each meeting room has air-conditioning and individual temperature control, ergonomic seating and state-of-the-art technology. 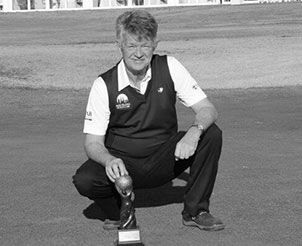 The property offers numerous possibilities for sales meetings, board meetings, trainings, product launches and incentive meetings. 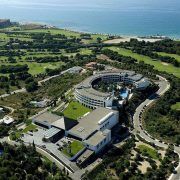 As the amphitheatres will seat up to 60 people per theatre, Dolce Sitges will also be the perfect setting for corporate events and shareholder meetings. The business centre with free Internet access for guests is fully equipped to provide secretarial support services. 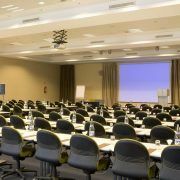 There is a dedicated conference team with audio-visual technicians and conference planners to help you coordinate every detail of your meeting. Onsite recreational facilities include a Spa with indoor pool, sauna and steam bath, fitness centre and aerobics room, as well as four outdoor pools. 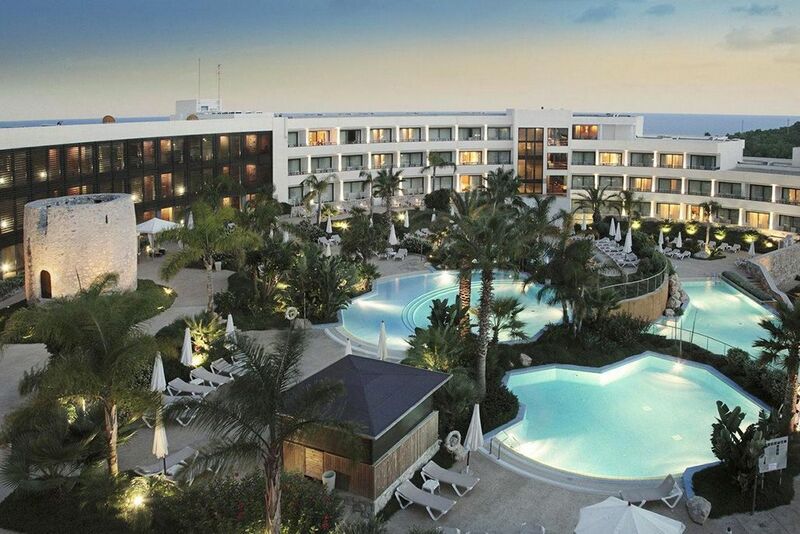 Dolce Sitges’ exceptional location provides a convenient base for enjoying a weekend or vacation stay. 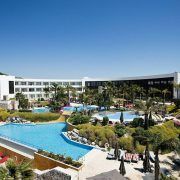 The first-class resort is close to the beaches of Sitges with complimentary shuttle to the beach. 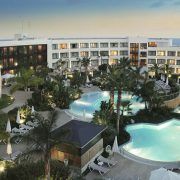 Accommodation: 219 beautifully designed guest rooms and 41 suites with terraces facing the sea or the pools. High-Speed Internet Access, In-room safe, room service, laundry valet, Satellite TV. 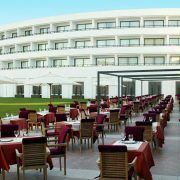 Restaurants and Bars: Two high-class restaurants specialise in Mediterranean and International cuisine and there are comfortable public rooms and bars in which to relax. 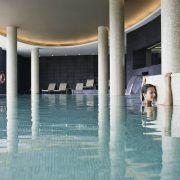 Guest Services: Four outdoor swimming pools, a Fitness Centre and a Spa including a large indoor swimming pool, saunas and treatments rooms for massages and beauty treatments. 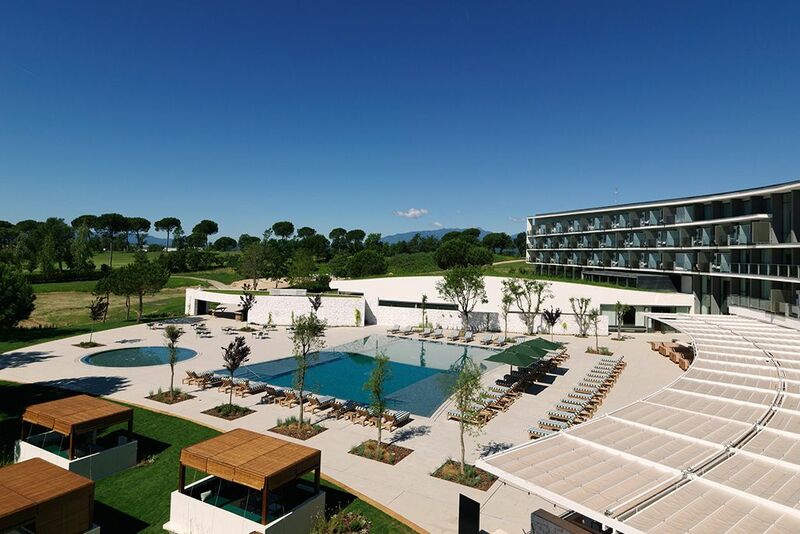 Leisure: Golf nearby at Bonmont, Reus Aiguesverds and Costa Dorada Golf Clubs (please consult golf course pages). Cycling, walking, tennis, sailing, horse riding, adventure sports, diving and trekking. 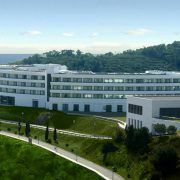 Convention: Facilities 2 amphitheatres, 9 meeting rooms and 25 break out rooms provide an efficient and effective learning environment. There is also a ballroom with a capacity of 443 people in theatre style. 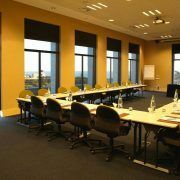 Each meeting room has air-conditioning and individual temperature control, ergonomic seating and state-of-the-art technology. Excursions: Sitges, the Jewel of the Mediterranean with fantastic restaurants, elegant buildings, beautiful beaches and never ending list of cultural events. Barcelona is half an hour’s drive. The Penedes wine growing region with organised visits. World Heritage centre of Tarragona. Location: Sitges, Barcelona. 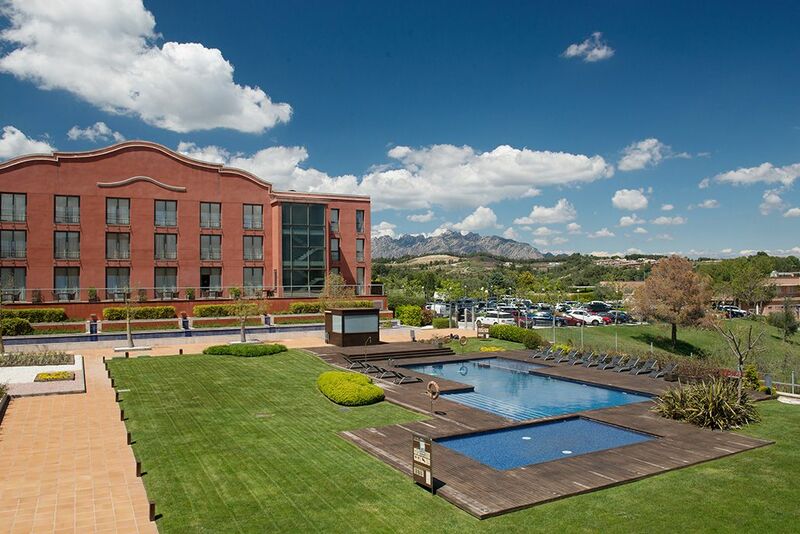 Barcelona airport 25kms, Barcelona 35kms, Tarragona 40 mins, Sitges train station 5 mins.